One of the more anticipated movies of the summer, Legendary Pictures' reboot of the classic Toho Studios movie monster Godzilla (Warner Bros.) roared into theaters on Thursday night with a killer showing of $9.3 million from Thursday previews. That was added into the Friday gross of $38.5 million, which was on par with some of the other recent openers, but even with a slight drop on Saturday, it was still able to become the third movie to open with over $90 million in the past two months–following Captain America: The Winter Soldier and The Amazing Spider-Man 2–with an estimated $93.2 million take for the weekend. 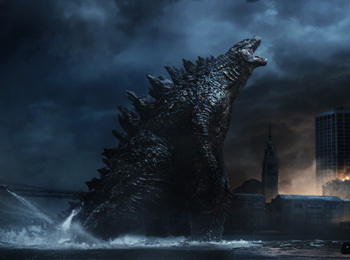 Overseas, Godzilla had the biggest international opening of the year, bringing in $103 million in 64 markets with 3D screenings making up a whopping 51% of its weekend gross. Combined with the domestic earnings, Godzilla has already earned $196.2 million worldwide. $14.1 million of Godzilla's domestic opening weekend came from its 352 IMAX screenings, the third-best showing for the format after last year's Iron Man 3 and the previous summer's The Avengers, while doing better in the format than last summer's Star Trek Into Darkness. Internationally, IMAX accounted for $7.5 million of Godzilla's grosses on 186 screens. Reportedly budgeted at $160 million, Edwards' movie received a B+ CinemaScore from exit polls, and while reviews and word-of-mouth have been mixed, it should offer some strong competition for X-Men: Days of Future Past over Memorial Day weekend. Sony Pictures' The Amazing Spider-Man 2 took a slightly less dramatic plunge in its third weekend, dropping to third place with $16.8 million (down 53%) as it brought its domestic total to $172.2 million. Internationally, the movie took in another $31.5 million to bring its overseas total to $461 million, as its worldwide gross crossed the $600 million mark with $633 million. China alone took in another $13.5 million this weekend to bring the country's total for the movie up to $78.5 million. Marvel Studios' Captain America: The Winter Soldier (Disney) crossed the $700 million mark globally this weekend as it fell just below Rio 2 domestically for eighth place with just under $3.8 million. The sequel's domestic gross of $250.6 million is edging closer to The LEGO Movie to become the top grossing movie of the year. You can check out more of this weekend's box office estimates at ComingSoon.net.